Canadian Colleges See Surge of Foreign Students. It’s Not Just Politics. Canadian universities may have a more international feel this fall. Enrollment of international students will be sharply higher, universities say, and the incoming freshmen include large numbers of high school students from the United States. With the increase coming during the first year of a contentious presidency, there’s plenty of talk about the trend being an obvious reaction to President Trump. But it’s not that simple. While plenty of students who have chosen Canada for higher education cite the political climate in the United States, admissions officers and students say economics remains the main motivation. Maddie Zeif, 18, a high school student from Sunderland, Vt., said costs in Canada were cheaper than in the United States and were comparable even to in-state tuition at the University of Vermont. She’s going to the University of British Columbia in the fall. Besides the cost and the political climate, students also say they were attracted by affordable health care, relative safety and a more relaxed atmosphere in Canada. Students from outside North America also point to the ease of immigration to Canada. With about a million international students within its borders, the United States is still the leader in international education. Canada’s international student population, though, surged 92 percent from 2008 to 2015, reaching more than 350,000, according to the Canadian Bureau for International Education. Final figures for this year’s application season are not yet available. But Canadian university officials say the early numbers suggest that Canada will be educating many more international students than ever this fall, particularly from the United States. At Ryerson University in Toronto, for example, the number of international undergraduates, including from the United States, who have confirmed that they will attend in the fall is up nearly 50 percent over this time last year. University of Toronto officials said the enrollment of students from the United States for this fall had doubled from last school year, with a “yield” — the percentage of accepted students who commit to attend — of 25 percent compared with about 20 percent last year. “We’re going to see record numbers of students from the U.S.,” said Ted Sargent, a vice president at the university, Canada’s largest. Officials at the University of Toronto said they saw a jump in enrollments from other countries, too, with an increase of 75 percent from India and more than 60 percent from the Middle East and Turkey. Smaller colleges like Mount Saint Vincent University in Halifax, Nova Scotia, said the number of applications from the United States had more than doubled this year. Tuition at Canadian colleges is generally lower than at comparable universities in the United States, even though students from outside Canada pay a higher rate than locals do. Also, the Canadian currency’s weakness relative to the United States dollar gives students headed to Canada an instant discount of about 26 percent. Megan Ludwig, 23, from Prather, Calif., graduated from the University of Nevada with a bachelor’s degree in ecohydrology, which studies the interaction between water and ecosystems. But for her master’s, she decided on Canada. The economics were compelling. “Canadian tuition is half the price per semester or less than most U.S. universities and scholarships for master’s positions are less competitive and more widely available,” Ms. Ludwig wrote in an email. She said she landed a stipend that was nearly double any of the offers she received in the United States. Nancy Gorosh, 19, of Houston just finished her freshman year at Concordia. Last year, she was choosing between Concordia and Hofstra University in Hempstead, N.Y., on Long Island. Ms. Gorosh said her tuition and fees at Concordia next year will be about $12,400 a year; Hofstra would have been about $44,000. Politics is on the minds of students choosing Canada for college, but their concerns are more nuanced than a simple dislike of Mr. Trump. Ankit Saxena, a 23-year-old engineer from New Delhi, will apply to graduate programs in the fall. He said Mr. Trump’s policies were one of many factors leading him to focus on Canada over the United States. He plans to apply to the University of Toronto, the University of Waterloo and the University of British Columbia, among others. “Racial discrimination is becoming a big problem, and it’s really scary to hear about an Indian getting shot in the U.S. every week,” Mr. Saxena said. Some students say the visa process for entering the United States is onerous, especially considering the uncertainty about how regulations might change. More than half of the international students in Canada plan to seek permanent residency, according to the Canadian international education bureau. Marius Poyard, from France, said he had the option to pursue a master’s degree in mechanical engineering at Michigan State University, Manhattan College or the University of Sherbrooke in Quebec. But he couldn’t face the visa application process in the United States after having endured it for a summer program several years ago. But Mr. Poyard said cost was another compelling reason to choose Canada. The University of Sherbrooke will cost less than a third of either option in the United States. Sofia Solar Cafaggi, 29, of Mexico City, got her undergraduate degree at McGill University in Montreal after turning down M.I.T. because of the cost. She was able to get permanent residency in Canada two years after graduating. Now she’s on her way to medical school. She said she was offered a full scholarship at a school in the United States but will be going to the University of Toronto. 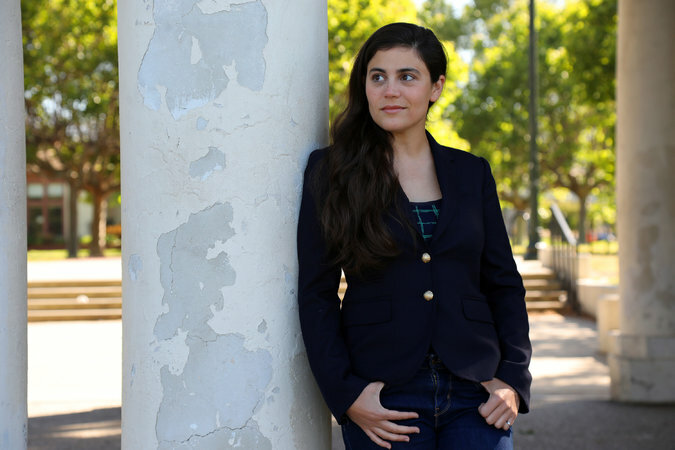 “I can get citizenship upon graduation, whereas in the U.S. I’d be an alien for another decade and would need sponsorship for residency,” she said. 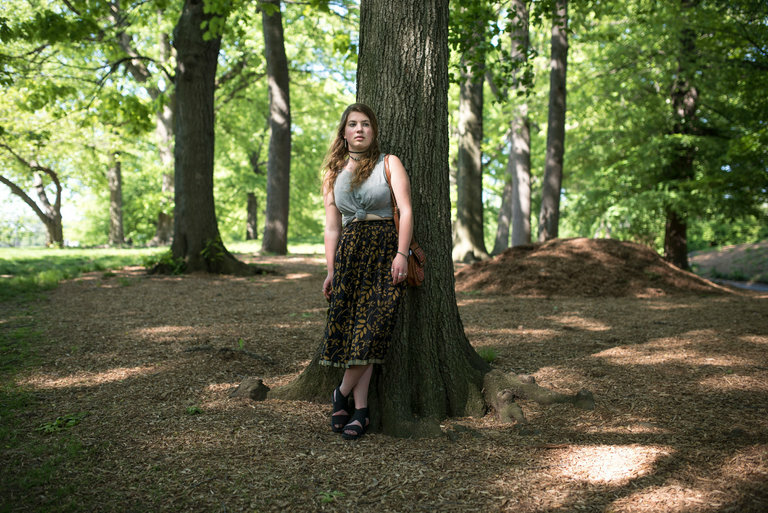 Jane White, of Carbondale, Ill., cited health care as a main reason for enrolling in a master’s program at Nipissing University in Ontario this fall. Under the Affordable Care Act, Ms. White was covered by her family’s insurance until she was 26. At 27, she’s now covered by a state plan, but she worries how she will be able to pay the $300 a month she needs for her asthma medication if the rules change. Other medications require a periodic visit to a doctor, further raising the cost. 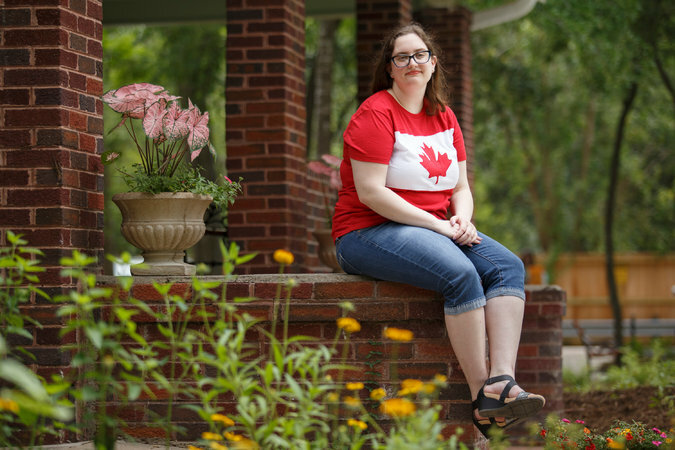 “My husband and I are both eligible for health care through the Canadian university,” she said. A version of this article appears in print on May 20, 2017, on Page A4 of the New York edition with the headline: Canadian Colleges See Surge of Foreign Students. It’s Not Just Politics.